This post starts a series of blogs reporting on the final research outcomes of the EU Centre for Global Affairs Annual Grant Program. The research funds were allocated for research activities which have a bearing on the EU-Australia relationship on the basis of a competitive application process throughout three rounds in 2015, 2016 and 2017 years. The final grant reports of the 2015 allocation round were received from the following grant recipients. Professor Kym Anderson AC, George Gollin Professor of Economics at The University of Adelaide and Professor of Economics at The Australian National University submitted his book “Wine Globalization: A New Comparative History” to Cambridge University Press earlier this year and it is expected to be published in February 2018. The book flyer can be downloaded HERE. 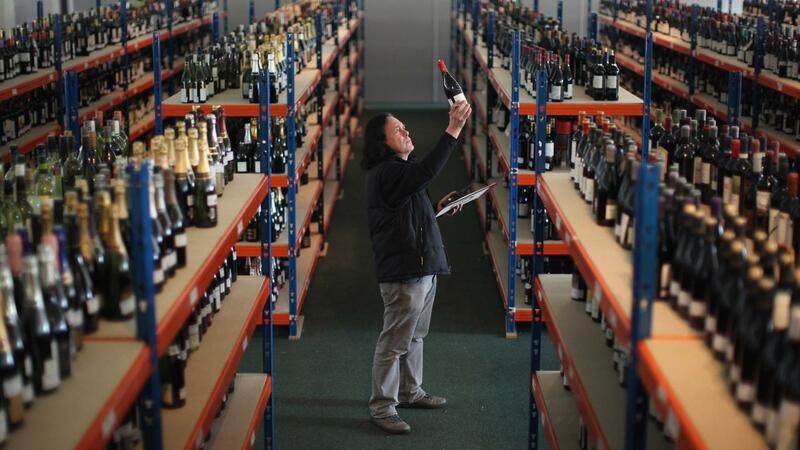 The results of this research project were presented at various conferences throughout 2017, including a seminar at Chatham House, UK on “Global Wine Markets and Brexit” and a joint EU Centres Conference in Melbourne. 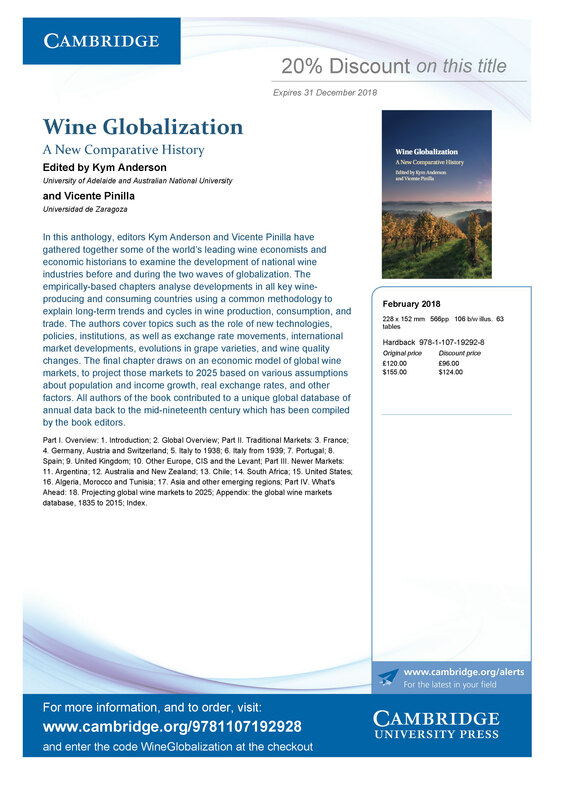 Additionally to the above book a statistical compendium eBook “Anderson, K., S. Nelgen and V. Pinilla (2017), Global Wine Markets, 1860 to 2015: A Statistical Compendium, University of Adelaide Press” will be available later this year. The 27th Commonwealth Agricultural Conference in Singapore, 2-4 November 2016. The Committee for Economic Development of Australia (CEDA) Trustee event in Adelaide, 21 February 2017. The Australian Bureau of Agricultural and Resource Economics and Sciences (ABARES) 2017 Outlook conference in Canberra, 7-8 March 2017. The Third GlobalFood Symposium in Goettingen, Germany, 28-29 April 2017. The EU Centre on Shared Complex Challenges Conference “Rethinking governance in an era of global insecurities, regional tensions and rising nationalism” in Melbourne, 17-19 July 2017. A side product of the research project is a study commissioned by the Australian Department of Foreign Affairs and Trade on Unfinished Farm Policy Reform. As a result the “Finishing Global Farm Trade Reform: Implications for Developing Countries” book was published by the University of Adelaide Press in 2017 and is freely available on the Press’s website as an eBook HERE. Associate Professor Carolin Plewa, Deputy Director, Entrepreneurship, Innovation and Commercialisation Centre and Associate Professor in Marketing at the University of Adelaide completed the final report “Qualitative and Quantitative Insights – Project Phases 1 & 2” for “The Future of University-Business Cooperation” project. A full text of the publication is available HERE. The results of this research project were presented in June 2017 at the University-Industry Engagement International Asia-Pacific Conference in Adelaide and the University-Industry Interaction Conference “The Future of University-Business Cooperation: The emerging trends and issues for UBC policy, practice and academic work” in Dublin. The final research report was briefly noted at the South Australian Science Council Meeting. Richard Pomfret & Patricia Sourdin: Trade between Australia and the EU, 1990-2015, Working Paper No. 2016-10, School of Economics, University of Adelaide, September 2016. Richard Pomfret & Patricia Sourdin: Trade Effects of Customs Union on a Third Country: New EU members’ trade with Australia after 2004, VoxEU, 23 September 2016. Richard Pomfret & Patricia Sourdin: Where will your next Holden come from? The 2004 EU enlargement and trade with Australia, Australian Economic Review 50(2), June 2017, 181-94. Professor Pomfret also drew on the analysis results and wrote a brief report “Australia as an EU Partner”, showCASE No. 51, 6.11.2017, 1-2 for the weekly newsletter of the Center for Social and Economic Research in Warsaw, Poland. Dr Joanna Howe, Associate Professor in Law, the Adelaide Law School. Joint EU Centres Conference – Fulfilling the Vision: European Union Futures?